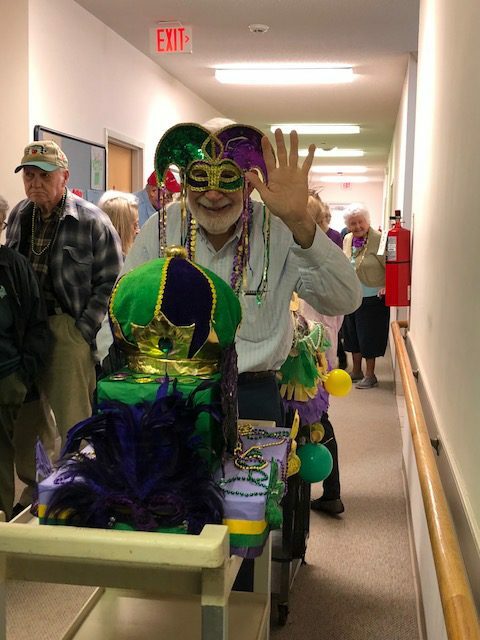 The Friday Night Fish fundraiser March 2 will help support enriching activities at The Meeting Place Senior Centers like the recent Mardi Gras party held at the Columbus location. To help support the many programs, activities and services for Polk County elders at The Meeting Place Senior Centers, a Friday Night Fish Fry fundraiser is being held from 4 to 7 p.m., March 2 at The Meeting Place at 75 Carmel Lane in Columbus. Each meal will feature fried fish, hushpuppies, a baked potato, coleslaw, dessert and a drink. The cost is $10 a plate for adults and $7 a plate for children 12 and younger. Take-outs also will be available. Colt Creek Band will provide entertainment. Tickets are available at all three of the centers in Columbus, Green Creek and Saluda or by calling (828) 894-0001. The fundraiser will benefit a variety of enriching programs offered at all three of The Meeting Place Senior Centers. via Meals on Wheels, for Polk County residents age 60 and older. Recipients may choose to make donations for their meals but receiving meals is not contingent upon making contributions. About 120 people receive home-delivered meals and about 65 to 85 on-site meals are served each weekday. People interested in volunteering for Meals on Wheels should call Doty at (828) 894-0001. Regular activities at The Meeting Place Senior Centers include ceramics, jewelry and other art classes; bingo, bridge and pool; exercise classes such as tai chi, chair exercise for people with mobility issues, senior aerobics and yoga; and educational classes on such topics as Medicare, fall prevention, living with diabetes and how to get extra help for medication costs. One upcoming six-week-long class – “Living Healthy with Chronic Conditions” – starts Monday, March 5 at The Meeting Place in Columbus. The building that houses The Meeting Place in Columbus also is home to the Polk County’s Veterans Services Officer Gina Cashion who provides on-site counseling and assistance to local veterans and their dependents of their rights and entitlements under various laws. Day trips are sometimes offered through The Meeting Place and have included excursions to Lake Lure for boat tours, the Greenville Zoo, the Western North Carolina Farmers Market in Asheville, Harrah’s Cherokee Casino and The North Carolina Arboretum. The Meeting Place also hosts regular celebrations like the Mardi Gras party held Feb. 13. 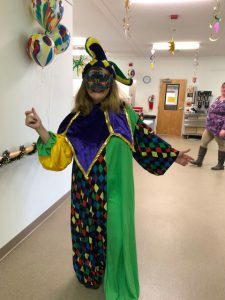 At that special event, Mardi Gras was celebrated in high style as 60 seniors gathered for a gala at The Meeting Place in Columbus in a hall decorated in green, purple and gold and lots of glitter. The dancing started early on with Rosa Bush and Jackie Lewis taking top honors in the “all the right moves” department. Emily Skipper took the lead for The Meeting Place version of a Mardi Gras conga line/parade. Everyone was adorned with masks and beads, and floats created by the crafts class and food enjoyed included a traditional Mardi Gras fare brunch and gold chocolate coins. 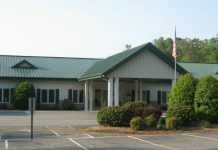 For more information about The Meeting Place Senior Centers, call Executive Director Pam Doty at (828) 894-0001 or visit polkcountymeetingplace.com.